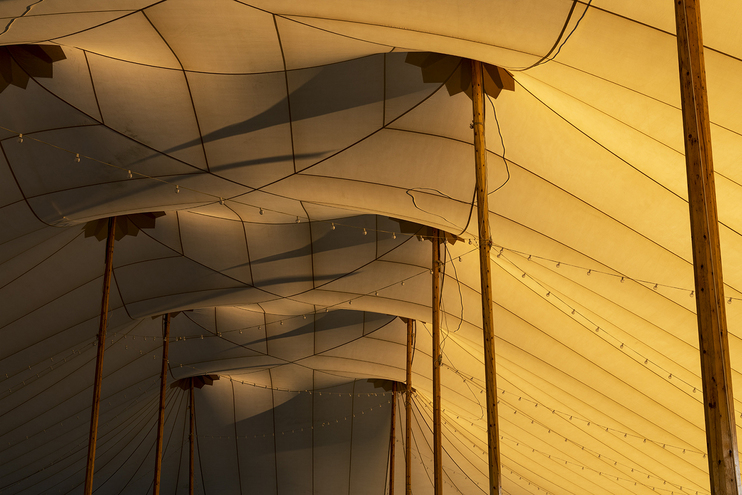 Under a grand tent for one of the events at Bartlett's Farm in September. Beautiful late afternoon lighting, with no one else around created a very special environment. Taken with my Canon 5D.